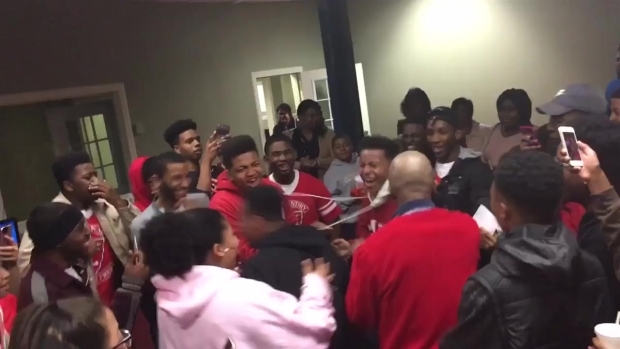 A video of a 16-year-old boy and his classmates erupting in joy when they learn he was accepted to Harvard University is drawing millions of views online. Ayrton Little posted the clip on Twitter Tuesday with a comment saying, "All the hard work was worth it." It has since been viewed more than 5 million times. 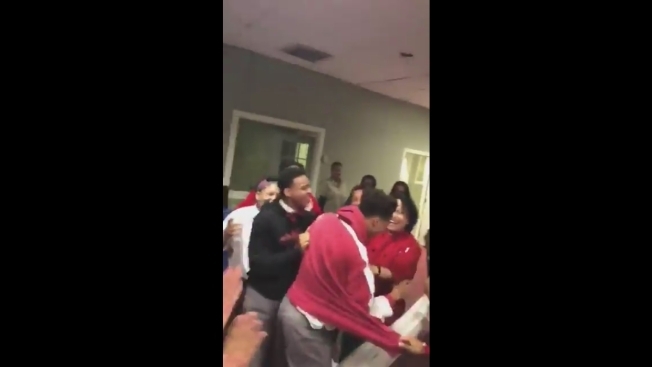 The video shows the Breaux Bridge, Louisiana, resident wearing a Harvard sweater and surrounded by classmates at TM Landry College Preparatory while he checks his admission status online. In a flash, Little and his friends begin jumping around the room and cheering when they see the news. Alex Little and his classmates react after hearing that he was accepted into Stanford. Little will not be the only one in his family attending an Ivy League school in the fall. His older brother, Alex Little, learned last week that he has been accepted to Stanford University. Ayrton joined his brother in the same grade after skipping a year. Little told The Boston Globe he always dreamed of attending the Ivy League school in Cambridge. He's received support from thousands online, including Brooklyn Nets guard and Harvard alumnus Jeremy Lin, and the prestigious school.